I thought it would be useful to create a Resource page that you can always come to for all your trading needs. I’ll add any new information to it as I learn more but you will notice in future that I will reference this page quite often. I recommend bookmarking it for your reference and convenience. Enjoy! Disclosure: Just so you know, some of the links below are affiliate links, and at no additional cost to you, I will earn a commission if you decide to make a purchase. Please understand that I have personally experienced or used the items before recommending it here, and I recommend them because they are helpful / useful, not because of the small commissions I make if you decide to buy something. Please do not spend any money on these products unless you feel you need them or that they will help you achieve your goals. If you looked at nothing else on the page, then these are the few things that you should definitely want to know about. I find myself recommend these few things from time and again. 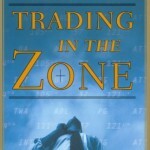 Trading in the Zone by Mark Douglas. This is my personal all time favourite Have a read and you’ll soon find out amazing things or methods that can help you battle through the psychology of trading. 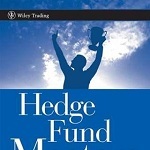 Hedge Fund Masters: How Top Hedge Fund Traders Set Goals, Overcome Barriers, and Achieve Peak Performance by Ari Kiev. Ari Kiev is a Psychiatrist and he uses his experience in this area to help Hedge Fund traders achieve Peak Performance trading. This book is a collection of interviews with top traders alongside his Ari’s comments on how these traders should improve. 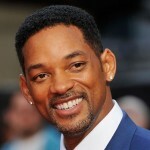 Your words and thoughts have physical power: A video shared on youtube as Will Smith nicely summarises the power of words and thoughts - a major role played in trading psychology too. This video, if you truly understand the meaning of his message, has all the psychology that you'll ever need to achieve trading success. Market Apprentice. For those of you who are interested to learn Price Action trading, make sure to check out my online learning hub. Market Apprentice has been designed to help traders learn and will have LIFE TIME access to the course once you make a full payment for the course. Alternative you, for only $1, you can sign up for the 7 Day Trial as well. Alternatively, you can check out my own books and products too. Way of the Turtle: The Secret Methods that Turned Ordinary People into Legendary Traders. Hear what the original Turtle – Curtis Faith – have to say about becoming a professional Trader. Curtis and a team of traders were the first few traders who turn professional and were previously just ordinary people with non-financial background. The New Market Wizards: Conversations with America’s Top Traders by Jack D. Schwager. This is a fantastic book for both Novice and Professional traders. The book is a compilation of interviews with American Top Traders. More importantly, Jack summarises the various lessons from these traders. It’s a steep learning curve for many but this book is a great place to help us refocus on what matters. The 4-Hour Work Week by Timothy Ferriss. This book was a great to me in terms of lessons learnt and timing. I finished reading this book right before I started trading Forex and, in many ways, it was a blessing reading it as it helped me stay focus on my ultimate goal. The 4 Hour Work Week was especially useful in understanding myself and identifying what I really wanted. Also, the 20/80 rule rocks!! By the way, this book comes in audio version as well. Animal Spirits: How Human Psychology Drives the Economy, and Why It Matters for Global Capitalism. This book is a brilliant book for traders as the author identifies the various Human Psychology that affects the market. As a Price Action trader, human psychology is what drives price patterns. How to Read Price Action: War Stories of Buyers Vs Sellers. This is of course my own creation where I write about the market place in the shoes of a War Strategist. When trading the market, we are constantly looking for the big guns and watching out for leaders to will lead us to success. Japanese Candlestick Charting Techniques: a Contemporary Guide to the Ancient Investment Techniques of the Far East. This book is a good read for Price Action enthusiasts. Steve Nisson shares with his readers what the candlesticks represents and what the market will likely do after that. His analogies might be a little too elaborated but this is a good way to remember what these candlesticks mean. Forex Patterns and Probabilities: Trading Strategies for Trending and Range-Bound Markets by Ed Ponsi. Ed talks about Trading Psychology and he shares some of his Trading Systems in the book. This is a good book for new to intermediate traders as he talks about basic mechanics of trading. Inside the Mind of the Turtles: How the World's Best Traders Master Risk. The book is brilliant for people who are worried and fears trading. The author breaks down the various element of risk and explains how one should embrace risk instead of avoiding it. If you want to make a career change into the world of trading but heard of scary stories of traders blowing their account, this is a good starting point. Financial Freedom Through Electronic Day Trading by Van Tharp. The author Van Tharp is renown Trader Mentor while Brian June was one of his student and entrepreneur. Without saying, the book puts important emphasis on Trading Psychology and ways to improve it. My personal favourite was when the authors gave a good illustration of what a Trader should and/should not expect from the market, the trader acts very mechanically based on various signals. Super Trader, Expanded Edition : Make Consistent Profits in Good and Bad Markets. Another great book by Van K Tharp. In this book, the author talks about the various (non-technical) aspects trading that are important in your trading career and what you should do to make yourself a Super Trader. Position Size Calculator: If you are trading already and you need to know the size of your trade, you can use one here to determine the size of your trade. Understanding Lot Sizes in Gold, Silver and Crude: Included here are detailed examples of how lot sizes are calculated for Gold, Silver and Crude. Recommended Brokers - I have used a few trading brokers in the past and I have concluded that AxiTrader and FXCM are my favourite. Please note that they are not the best in town nor are they the worst. I feel that they have decent customer service and they are reliable. Either way, please do not use these brokers unless you feel that you are comfortable with them. Free Demo Accounts - trade on a demo account until you're comfortable and confident. Check out my set up instructions / guide for FXCM's trading station. MT4i.com (Now Known as FXBlue) is a free web-based service for analysing and publishing your trading statements. You can publish statements from MetaTrader 4, MetaTrader 5, or FXCM's TSII and Strategy Trader. Publication of new and closed orders is nearly instant. You can combine multiple accounts into portfolios and analyze them on this website, or you can use our Account Monitor software to view the data from your own desktop without needing a web browser.